Buying a house can be expensive, and might be out-of-reach for most people. Good thing, renting to own offers advantages to both buyers and sellers. How Does The Monthly Rent Work With A Dallas Fort Worth Rent To Own House? You first pay an upfront payment to move in and secure the contract and the terms with the option to buy. The “option fee” or “move in amount” may in some cases act as a percentage of the down payment on the home, should the renter decide to purchase at the end of the term. This may or may not be the case depending on when and where you’re reading the article (based on laws). 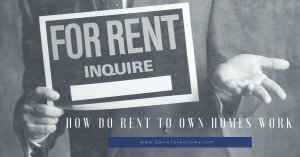 Connect with us directly for the local Dallas Fort Worth TX Rent to Own laws. At the end of the rent to own agreement (usually 1 – 3 years) you decide if you want to purchase the home for the price you agreed on initially in your rent to own agreement. If you want to buy the home, great! We can assist you in getting qualified for a conventional loan to buy the home. If you don’t want to buy the home, no biggie. You’re not required to buy the home at the end of a rent to own agreement in Dallas Fort Worth… the choice is fully yours. So, for the question of “how do rent to own homes work in Dallas Fort Worth“… well that’s the basic process. Just do your research, talk with reputable and experienced companies like TMC Property Solutions who can walk you through the local Dallas Fort Worth rent to own house process… and make the smart financial decision for you and your family. Many people choosing rent-to-own may have past credit problems, or may just be unsure if purchasing a home is right for them. If that’s you and you want to look into the rent to own process and even see the available rent to own / lease option houses here in Dallas Fort Worth TX, click the link below and fill out your basic info to get on our Dallas Fort Worth rent to own home list. Want to see what owner financing houses we have available? We have an inventory of houses for purchase, many of which can be owner-financed. Click here now and fill out the form to see our options, or call our team at (817) 550-5069 Opt# 9. Why Rent When You Can Own? Own A Texas Home Today! Please Google “TMC Property Solutions” to see what others have to say about our services. Looking For Owner Financed Homes? 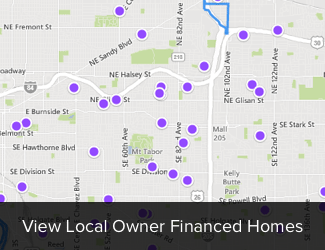 Join our FREE local owner financing homes list below.